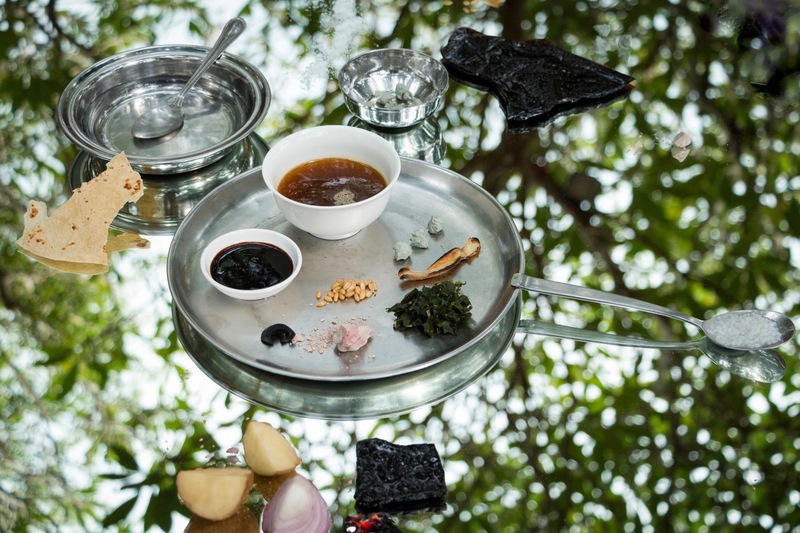 'Hunger is/isn’t an object' analysed famines and starvation periods which have occurred across the globe; the project looked at what people eat in such conditions, and through the artistic development of actual dishes it sought to evoke consideration of the plight, horror and indignity of famine. The event at the Aspinwall House took the form of an artistically informed and purposively message-laden buffet. 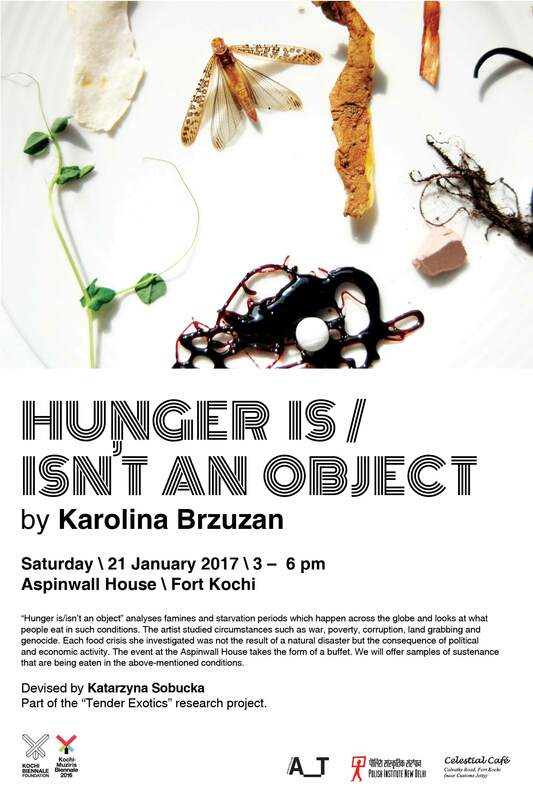 'Hunger is/isn’t an object' thus reflected on the in/edibility of food and the absence or presence of sustenance and nutrition. 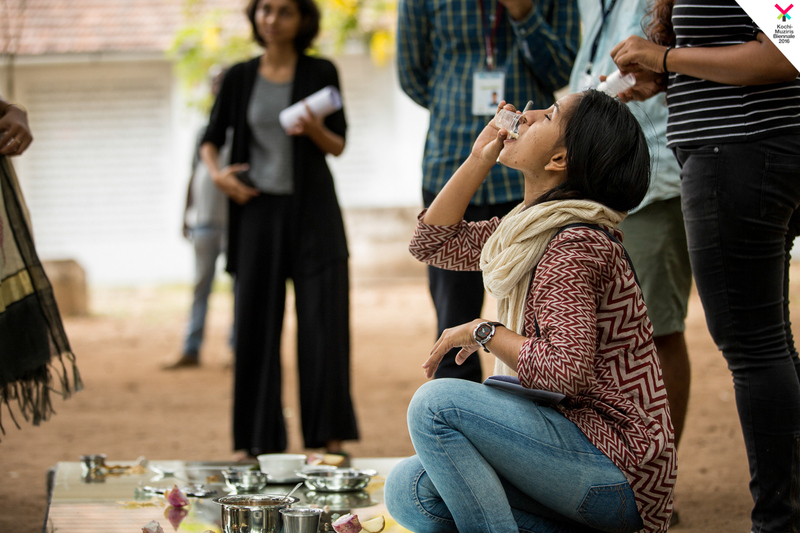 During her performance, Karolina conveyed the many societies and stages in history wherein malnutrition was used as a method to suppress the citizen populace. 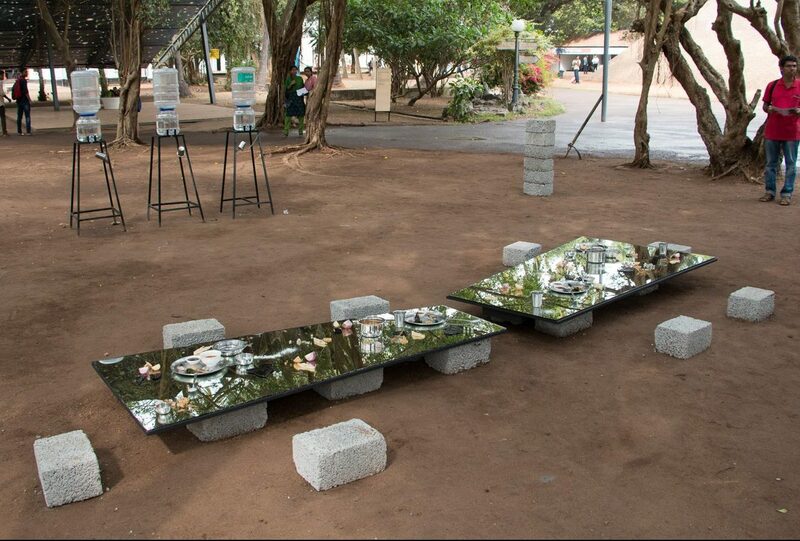 Starting from the basic premise that an empty plate is a symbolically rich designator of the condition of the world, Brzuzan scrutinised situations such as war, corruption, poverty, land grabbing and genocide. 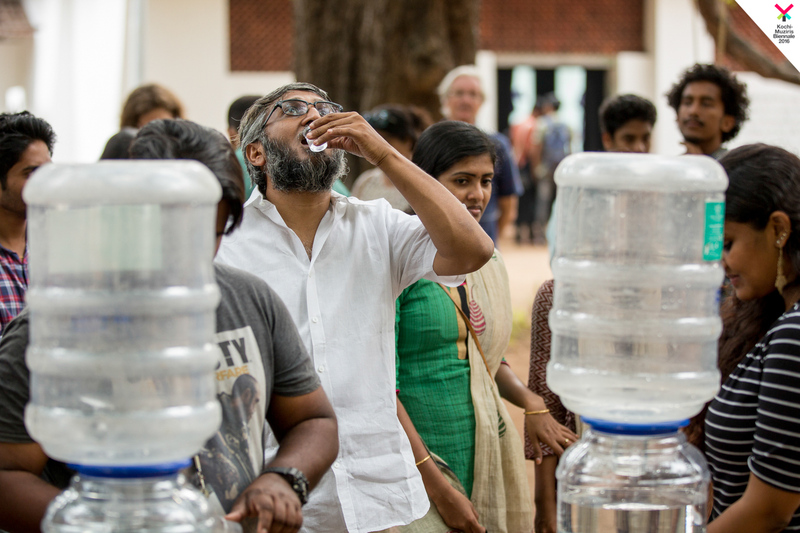 The food crises and famines thereby investigated had not, it emerged, resulted from natural calamities, but rather were the consequence of human political or economic activity. 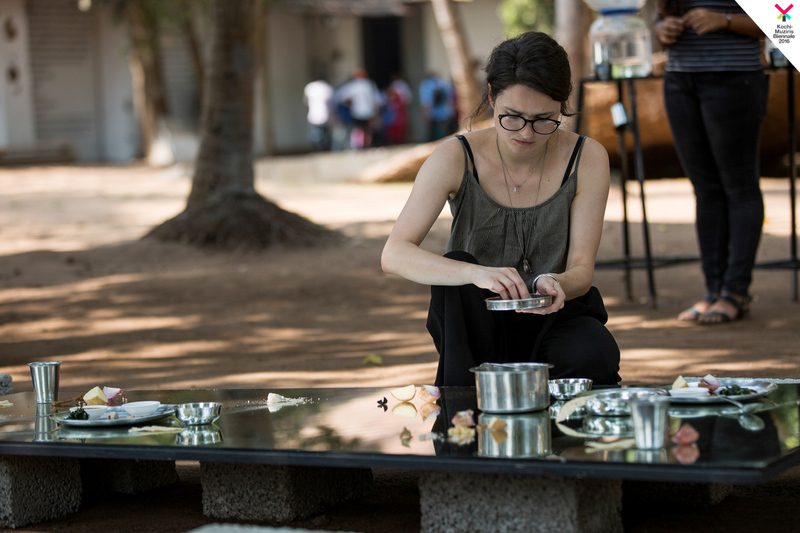 By providing buffet dishes which exemplified what was eaten in these abjectly adverse conditions, Karolina enabled the recipients of the dishes to have improved insight into our biological fragility and our ultimate reliance on local resources. 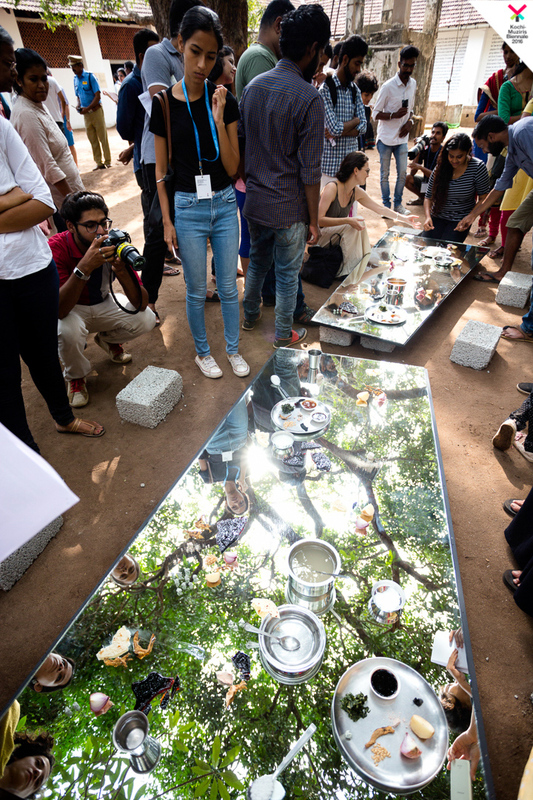 'Hunger is/isn’t an object' provided a practical and embodied means of affecting greater experiential empathy with the millions of people who have been or are subjected to acute hunger. 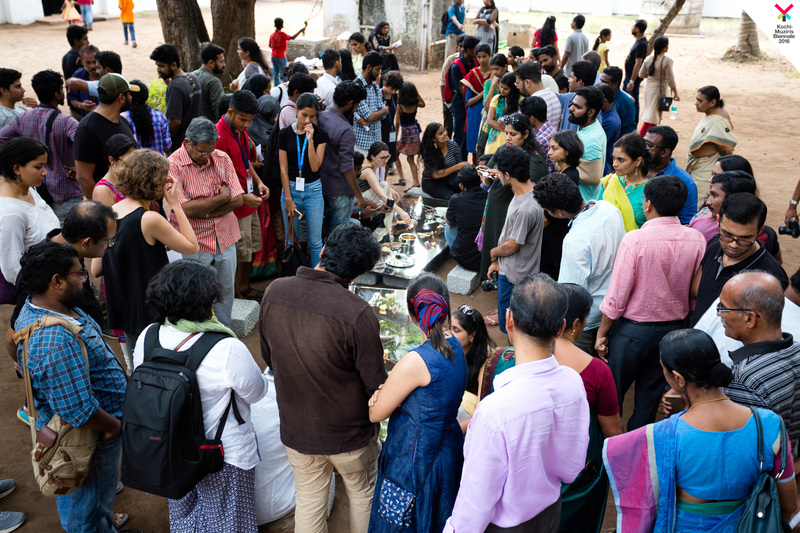 By providing a range of dishes drawn from different people’s experiences, in different forms of conflict, crisis and trauma, this performance noted that famine that is not specific to a concrete period in time or to any geographically bound region. 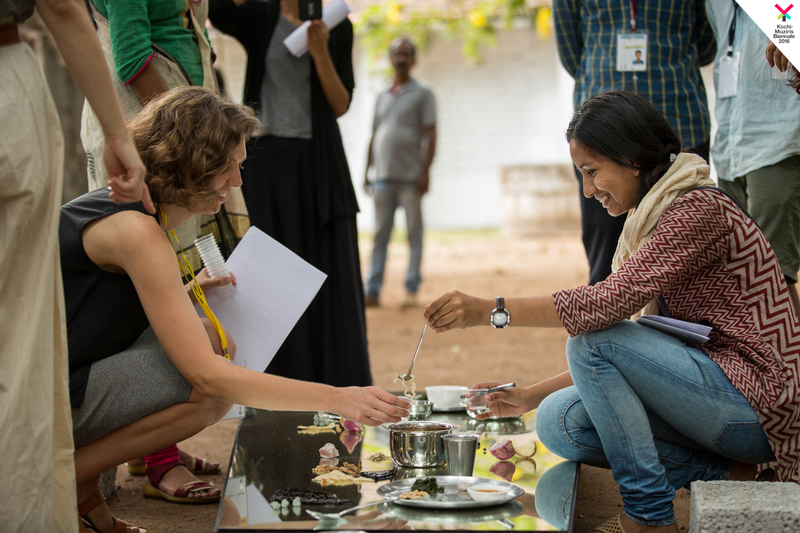 The culinary performance fused exploration of local and traditional custom(s) with this clear demonstration of hunger’s universality both in time and space on our planet. The Indian experience of colonial exploitation and subjugation at the hands of British imperial powers was one emerging specific context which occurred. Brzuzan’s dishes were neither delicious or nutritious, and this was intentionally so. Their taste was precisely the taste of hunger but, coupled with this, they tasted of the human will to survive, the intrinsic value of human life as evidenced by the resilience of the starving.